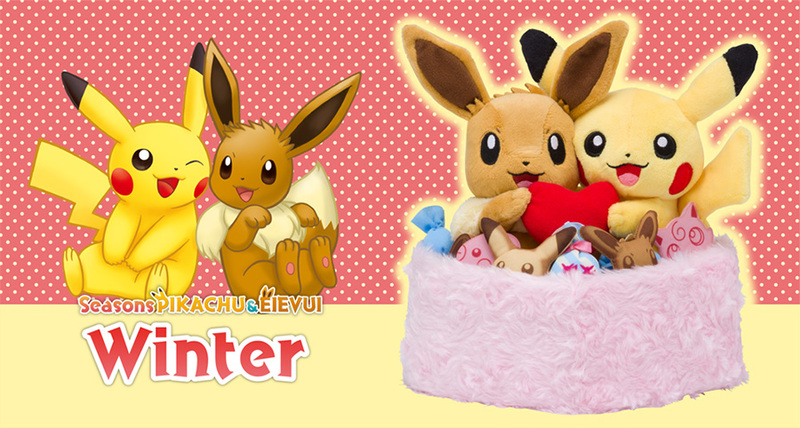 The Pokemon Company has announced the Winter plush for the Seasons Pikachu & Eevee series, sold exclusively at Pokemon Center Japan. The latest plush features Pikachu and Eevee holding a heart together inside what looks like a bed filled with Pokemon goodies. This is the third plush right after the Summer and Fall plushies released earlier this year. You’ll be able to purchase this plush at Pokemon Center locations or Amazon Japan (we will let you know once pre-orders go live) on December 22, 2018 for 3000 yen (exclusive of sales tax).